Voodoo is an elegant, smooth lined filly that is bred to JUMP. With a sweet, gentle disposition, she loves people and will make someone a wonderful performance partner. This filly already exhibits the athleticism that her pedigree shows she should. ​Voodoo received a coveted Gold Premium at her RPSI inspection. She has been inspected, branded, micro-chipped and has her lifetime USEF number. 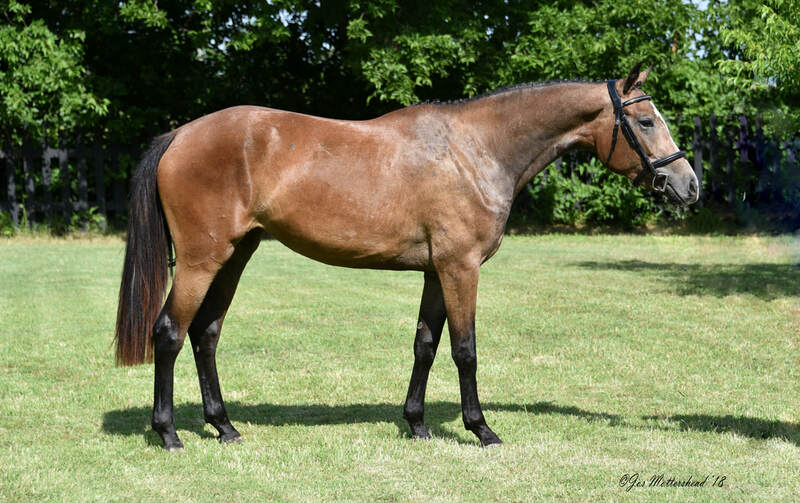 Reasonably priced, for a quick sale, this filly will be a wonderful addition to a competitive rider's home and with a pedigree that reads like the Who's Who in sporthorse breeding, she would have a fabulous future as a outstanding broodmare, as well.